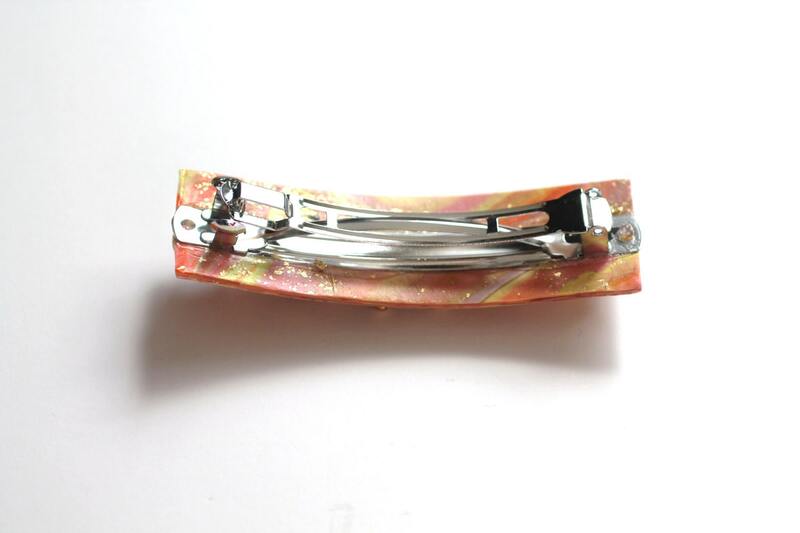 Womens Hand Made Barrette on a Large French Clip. 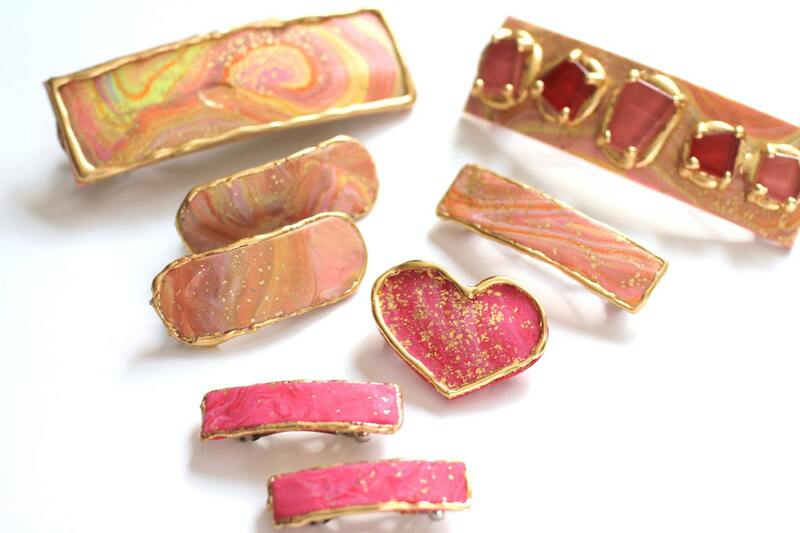 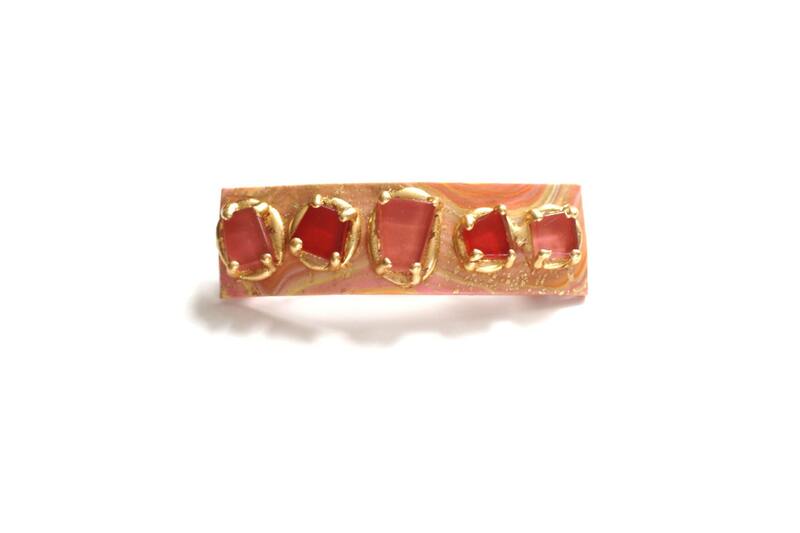 Made from Polymer Clay in a Peachy Coral Swirl and Brushed with Flakes of Gold Leaf. 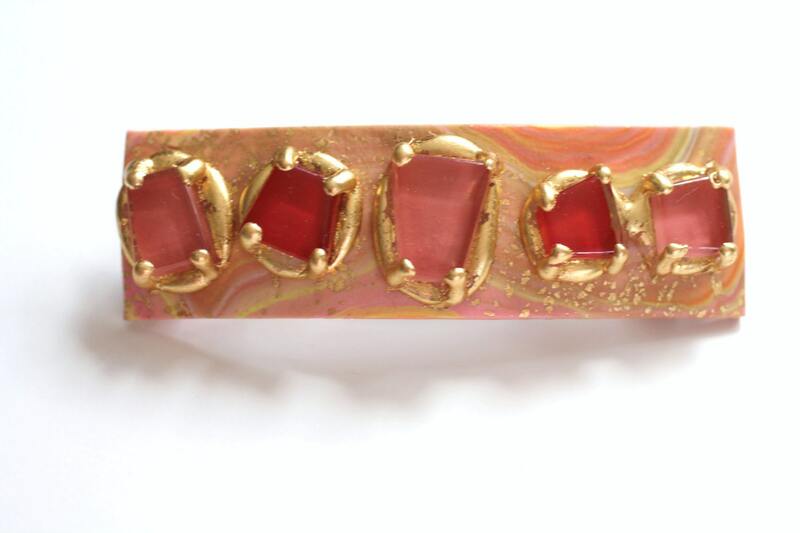 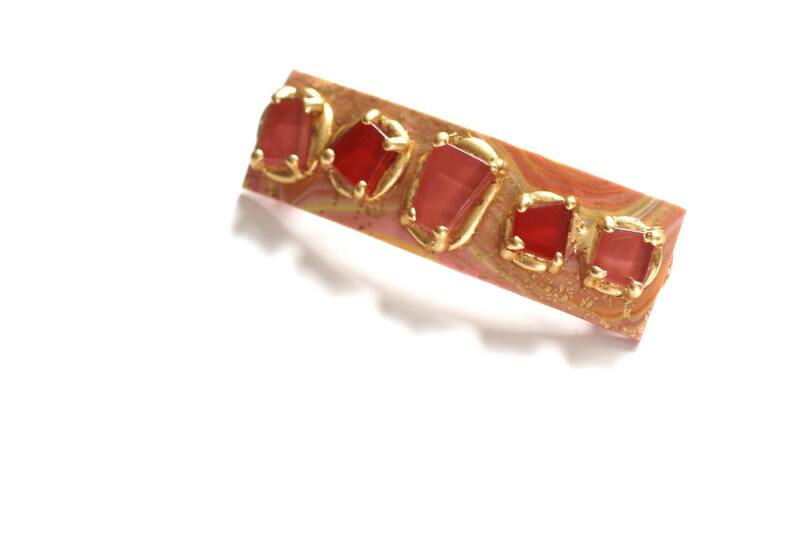 Each Glass Stone is Hand Set in a Gold Leaf Bezel.